Your world is changing—fast. You can’t wait for—or can’t yet budget—a lengthy engagement with a public relations advisor. 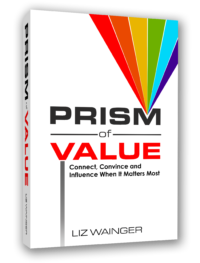 To accelerate your growth, captivate your audience, and build visibility with media and other influencers now, Wainger Group presents PR in a Box™. Learn to develop your message and your story to get your point across. Find out what the media need and want. Target your audience—and the right reporters to captivate that audience. Grab quick easy-to-implement tips for writing news releases and pitches. Discover new ways to reach reporters and influencers. Prepare for and manage your media interviews. A customized media list to help you find the right reporters in the right field to reach your best audience. Press release and media advisory templates, customized for your enterprise, so your team can easily draft its own media communications. Resource materials, including a Wainger Group Media Relations/PR Primer for easy reference. 4 one-hour phone consultation and/or coaching sessions with strategist, author, and Wainger Group President Liz Wainger, to help you launch an effective media engagement program. It’s fast, it’s affordable, and it’s available to you now.